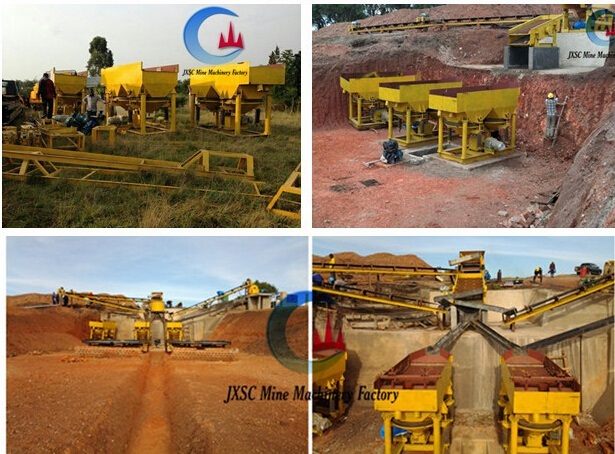 JXSC Mine Machinery Factory provides coltan mining process Jig Concentrators for more than 30 years, focus on the Tantalite, Tantalum, Columbite, niobium and other rare earth ore metals and minerals like Gold, Diamond, Chrome, Tin, Tungsten and Silica sand processing plants. 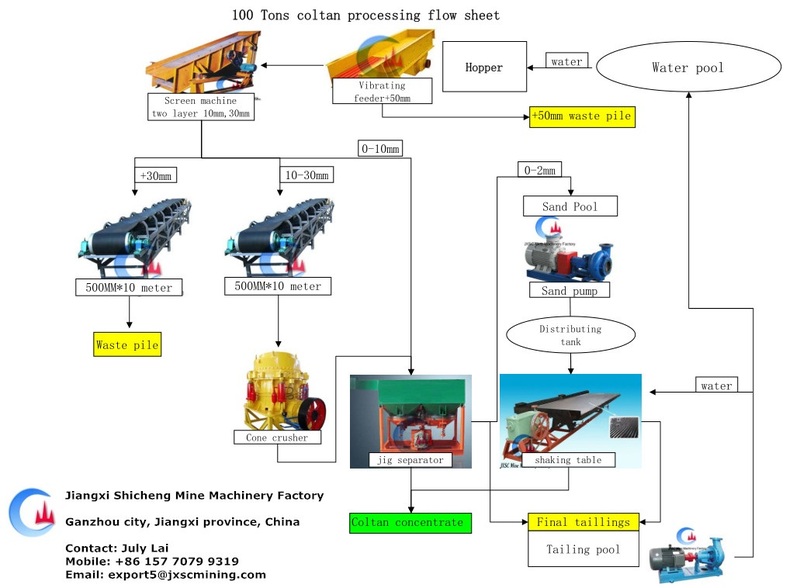 Coltan mine description: Customer’s coltan mine is alluvial type, however, the raw ore contains some big rocks which also have coltan, so we suggest to use a cone crusher crush the rocks under 10mm, then feed into Jig Separators. The sawtooth wave jig concentrator is an effective and energy saving specific gravity separator that has found a wide application in recovery for various kinds of minerals. Unlike the traditional jigging machine, The STW jig concentrators produces speedy upward water flow and slow downward flow, so the bed layer is elevated integrally and settled fully with a long effective loose time. As a result, the STW jig machine has extremely good performance for recovery of fine fraction particles. JXSC jig machine is widely used in the beneficiation of tungsten, tin, gold, diamond, iron, titanium, iron, coltan, manganese, fluorite, chrome. It can also be used for recovery for alloy particles from manganese slag, chromites slag and stainless slag, etc. Recovery of minerals from primary/ hard rock ore, which can be liberated by crushing/ grinding process, i.e. (Diamonds, Color Gemstones, Barite, fluorite, Gold & other precious metals, base metals, ferrous metals, light metals, coal) and heavy minerals of all kind. Our factory JXSC has an experienced engineering team, which can do jig concentrators design, mining process flow sheet, recommend suitable machine models, as well as provide professional commissioning, training and complete after-sales services for our clients.